Nuclear Medicine - section of high-tech medicine, which uses radionuclides for treatment and diagnosis of diseases. Nuclear Medicine - is a method of diagnosis and treatment of various diseases using radiopharmaceuticals: radioactive substances introduced into the organism, along with pharmaceuticals, by injection, ingestion, or inhalation. This direction of modern medicine uses radioactive substances for the diagnosis and therapeutic treatment in practice: in oncology, endocrinology, clinical immunology, hepatology, urology and nephrology, allergology, cardiology, pulmonology, neurology, traumatology, pediatrics, neurosurgery, hematology, etc. But primarily it caters the diagnostics. The obtained X-ray image of computer and magnetic resonance tomography represent the snapshots of organs displaying their physiology and functioning. The procedures allow to trace the discovery of malignant tumors at an early stage and to determine the body's response to therapy. These include the treatment of tumors of the brain, liver and lungs. Medical imaging techniques are non-invasive and except for the intravenous injections, are usually painless test allowing to evaluate condition of the patient and conduct an accurate diagnostics. 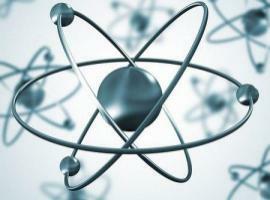 In such technologies are used radioactive materials called radiopharmaceuticals (RFP). Radiopharmaceuticals, getting to a certain part of the body, emit a short radiation, which is able to destroy tumor tissue. Closed radionuclide sources are placed directly into the tumor or near it that enhances the therapeutic effect. 6) Computer technology for the obtaining and storing of images in tomography for radiotherapy planning, and other calculations. Radiation therapy is used as one of the leading methods of treatment of patients with malignant tumors, some systemic and non-tumor disease. Methods of radiation therapy are classified by type of radiation. This X-radiation of high-energy, gamma radiation, radiation from fast electrons, protons, neuron. Modern medical diagnostic methods using nuclear equipment allows several times to increase the quality of patient treatment. The ability to quickly and effectively treat patients, as most nuclear medicine procedures can be performed on an outpatient basis. Nuclear medicine is very useful and multifunctional. Its success has provided the development of diagnosti cand therapeutic hardware, with the improvement of clinical dosimetry and radiobiological researches, making it possible to to trace the mechanism of tumor regression resulting from irradiation.